Disney’s Magic Kingdom is one of the most magical places on Earth. You can escape from reality into a world where fantasy is real and all your dreams come true. Spend the day enjoying attractions, live entertainment, and meeting more Disney characters than you can imagine. 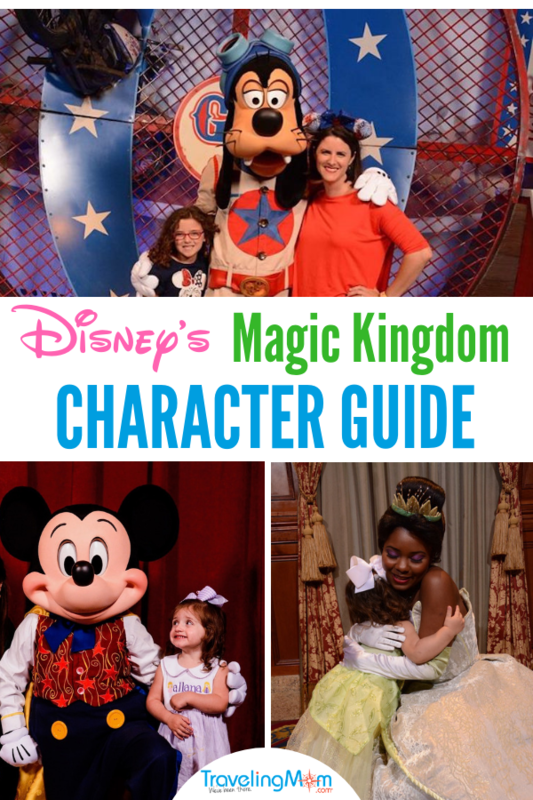 Use our Disney’s Magic Kingdom Character Guide on your next visit to locate all your favorite Disney characters in the park. Magic Kingdom is my all-time favorite Disney park. I could spend a week there and still not do everything on my list. From the moment I turn the corner at the Emporium and get the first glimpse of Cinderella Castle, the magic begins. You can ask anyone who has ever been to Disney with me, I tear up every single time. It’s a combination of the sights, smells, music and classic Disney characters that make me feel like I’m at home. There are so many Disney characters located throughout the six lands it can be overwhelming trying to find them all. I put together this Magic Kingdom Character Guide so that you don’t have to miss a single one. The easiest way to locate characters while you are in the park is to use the My Disney Experience app on your phone. There is a map that will take you directly to their location. Make sure to check the Times Guide as you enter the park for specific times when the characters will be available throughout the day. Characters on Main Street U.S.A. There are three main locations on Main Street U.S.A. to find characters. Town Square Courtyard, Town Square, and Town Square Theater. Town Square Courtyard, located in between the Main Street Chamber of Commerce and City Hall, is where you will find Snow White. She is the only princess not located in Fantasyland. Town Square, located just as you walk into the park near the flag pole, is where you can find Pluto, Chip & Dale. On occasion, you may find Marie, everyone’s favorite Aristocat. The Town Square Theater (next to Tony’s Town Square Restaurant) is home to Mickey Mouse and Tinker Bell. Meet with Mickey backstage in his rehearsal room where he is excited to meet his biggest fans. 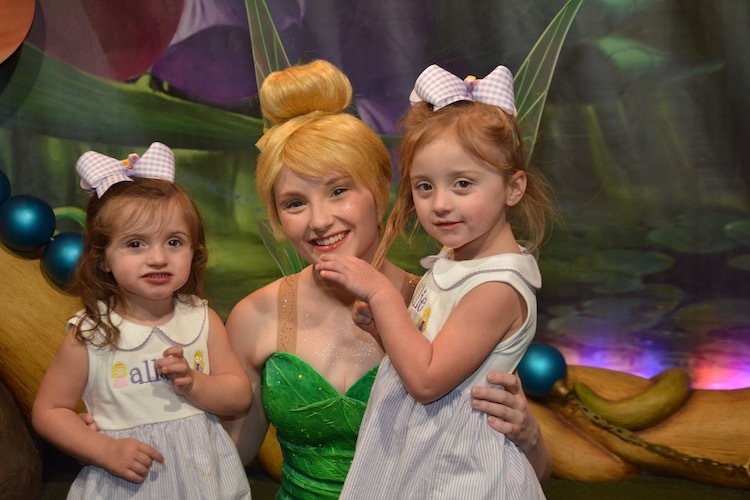 Visit Tinker Bell in Pixie Hollow where she can’t wait to share her latest treasures with you. If you want to shorten your wait time in meeting Mickey and Tinker Bell you can preschedule a FastPass+ experience for each of these experiences. TravelingMom Tip: You can book advance dining reservations to eat with your favorite characters from the Hundred Acre Wood at The Crystal Palace. The restaurant is located at the very end of Main Street U.S.A. just before the entrance into Adventureland. Here you can meet Winnie the Pooh, Piglet, Eeyore, and Tigger for breakfast, lunch or dinner. This fabulous character meal takes 1 table service credit if you are using the Disney Dining Plan. Meet Aladdin & Jasmine in the marketplace found just behind The Magic Carpets of Aladdin (next to Aloha Isle). If you want to meet Abu you’ll have to purchase tickets to Mickey’s Not So Scary Halloween Party or Mickey’s Very Merry Christmas Party as he has been known to make appearances during these ticket-only events. Make sure to stay on high alert when navigating your way through Adventureland so you don’t miss Captain Jack Sparrow. He is now meeting guests on a regular basis at a new location in the Pirates of Caribbean Courtyard. While there aren’t any character meet and greets in Frontierland, you can find characters at the Frontierland Hoedown Happening. These include Big Al, Brer Bear, Brer Fox, Brer Rabbit, and Clarabelle. The characters are dancing in the hoedown and do not pose for photographs or sign autograph books. Check the Magic Kingdom Times Guide for showtimes. 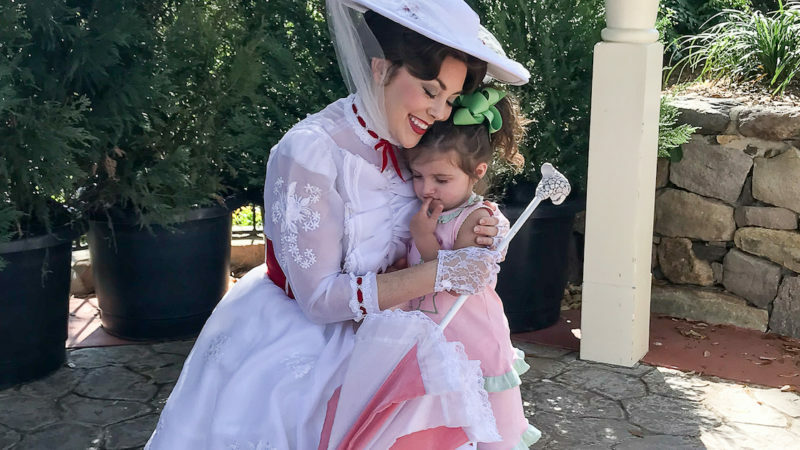 TravelingMom Tip: If you have tickets to Mickey’s Not So Scary Halloween Party or Mickey’s Very Merry Christmas Part,y you may have the opportunity to meet some of the characters from the Frontierland Hoedown Happening. 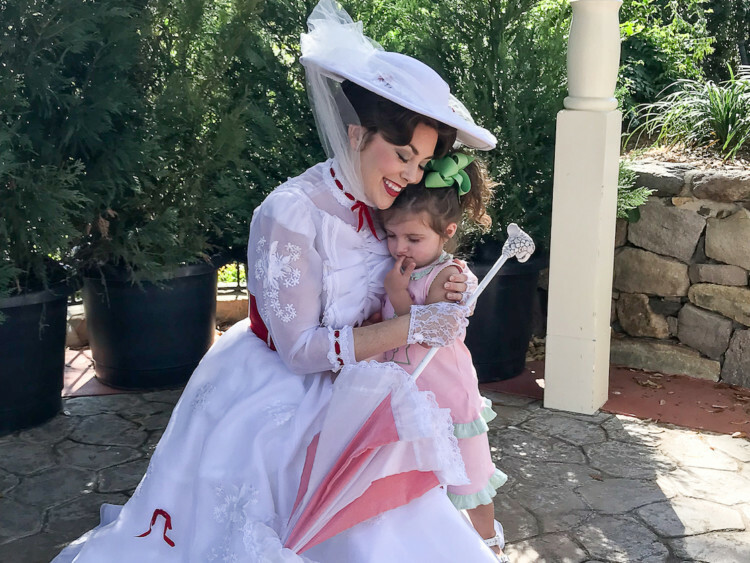 Anyone looking for some lessons in etiquette can meet the beloved Mary Poppins at the Liberty Square Gazebo. While this isn’t a traditional meet and greet, you can see The Muppets in The Muppets Present Great Moments in American History. Kermit the Frog, Miss Piggy, Fozzie Bear, and the Great Gonzo interact with guests with hilarious reenactments and historical songs. 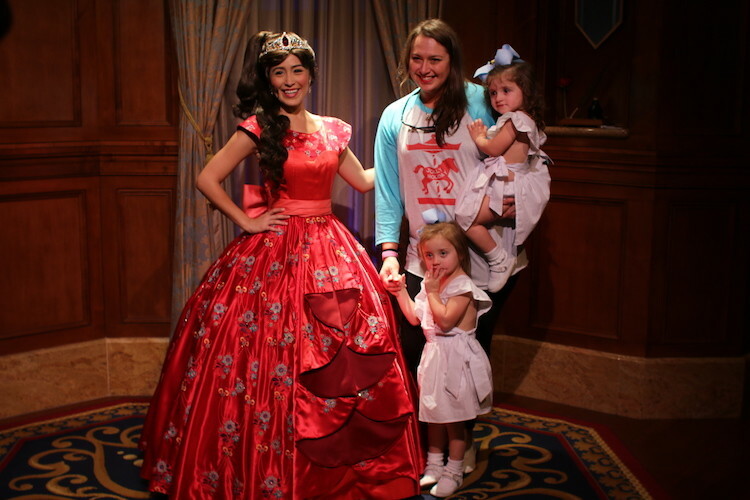 First of all, there’s nothing more magical in Fantasyland than meeting all of the princesses. The absolute best way to do this is to secure an advanced dining reservation at Cinderella’s Royal Table. This iconic restaurant located inside Cinderella Castle is home to many of your favorite classic Disney Princesses. Here you can meet Cinderella, Fairy Godmother, Ariel, Aurora, Jasmine, and Snow White for breakfast, lunch or dinner. Reservations for this character meal are very hard to get. It is very important that you book this reservation 180 days in advance of your arrival if at all possible. Cinderella’s Royal Table is a signature dining experience and it takes two (2) table service credits if you are using the Disney Dining Plan. If you do not have the Disney Dining Plan, you will have to pre-pay your meal at the time you secure your reservation. You can make reservations online through your My Disney Experience account. 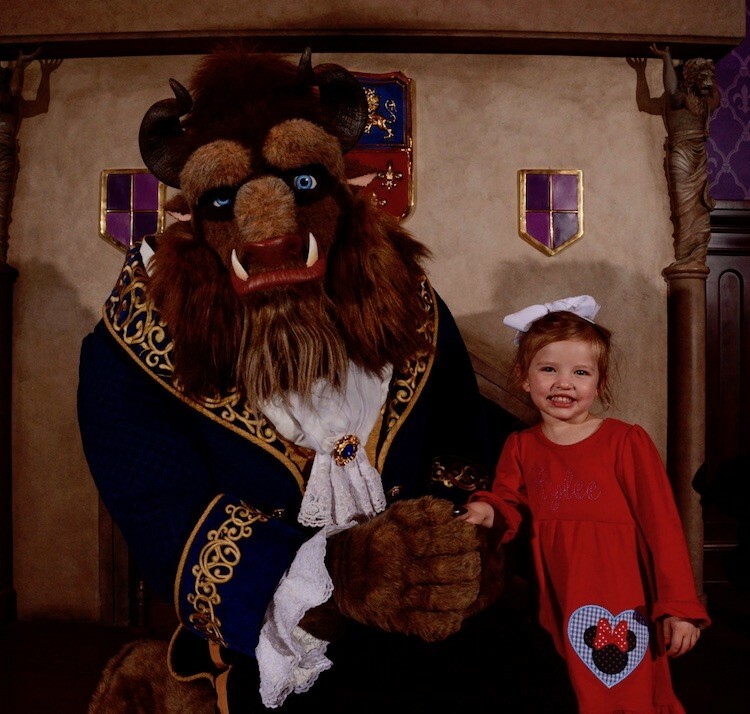 If you have reservations at Be Our Guest for dinner you can meet the Beast. Guests can pose for photographs with him; however, he does not sign autographs. 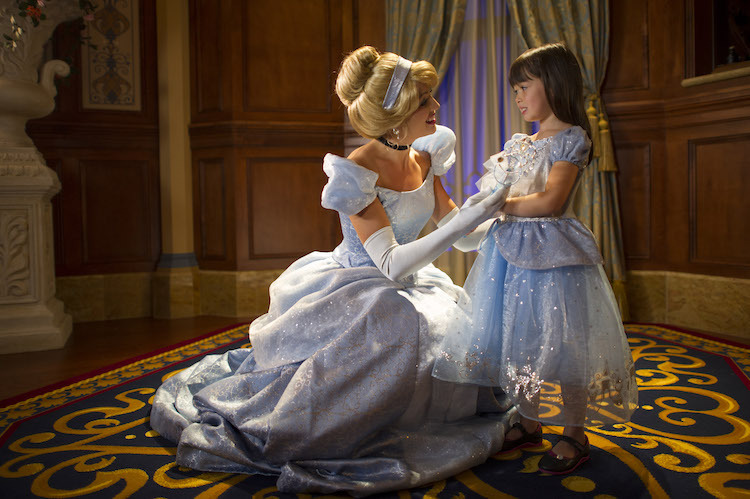 Unable to secure a reservation at Cinderella’s Royal Table? Princess Fairytale Hall is another location where you can meet the Disney Princesses. Here you can meet with Cinderella, Eleana of Avalor, Rapunzel, and Tiana. If you want to shorten your wait time in meeting with these princesses, you can preschedule a FastPass+ experience to meet them. Belle is located at the Enchanted Tales with Belle attraction; however, this is not a typical character meet and greet. Those guests who are participants in the attraction can pose for photographs with her; however, this is not guaranteed for everyone in the audience. You can meet Ariel at Ariel’s Grotto where she will pose for photographs and sign autographs. This is the only location where you can find Ariel in her mermaid tail. Merida has a meet and greet at Fairytale Garden located next to Cinderella Castle across from Cosmic Ray’s Starlight Cafe. As mentioned previously, Snow White meets guests on Main Street U.S.A. at the Town Square Courtyard. Gaston’s smolder can be quite captivating. 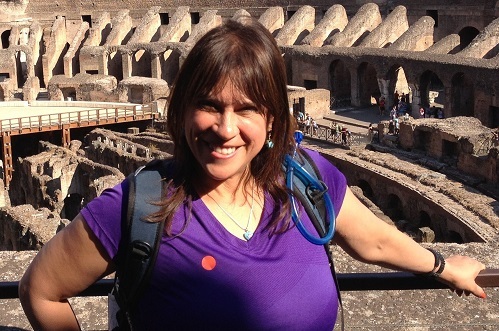 Photo Credit: Military TravelingMom, Renee Virata. 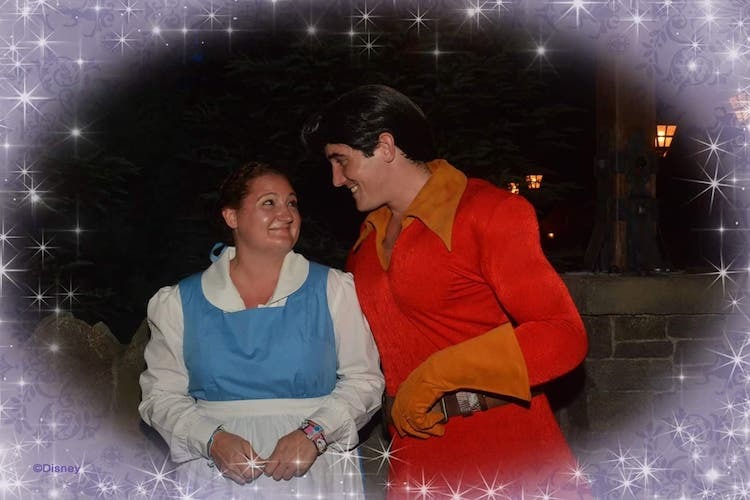 You will find Gaston in Belle’s Village Courtyard next to the fountain at Gaston’s Tavern posing for photographs and sharing endless stories about himself with anyone who will listen. TravelingMom Tip: Make sure you stop in Gaston’s Tavern and order a giant cinnamon roll and a Lefou’s Brew. You’ll thank me later. Anastasia and Drizella, Cinderella’s wicked stepsisters, meet guests at the Castle Wall (the large wall entrance located behind Prince Charming Regal Carousel as you enter into the “New Fantasyland” area). 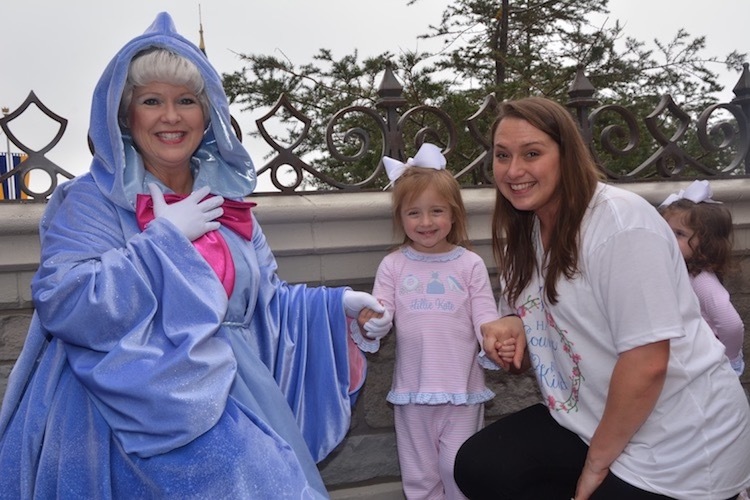 On occasion, you can meet the Fairy Godmother near the back side of Cinderella Castle near Castle Couture. Presently Peter Pan (and sometimes Wendy) greet guests near the entrance to the Peter Pan’s Flight attraction. Tigger & Winnie the Pooh meet guests at the Thotful Spot just past the entrance to the Many Adventure of Winnie the Pooh. Meanwhile, just across the way you can find Alice in Wonderland at the Mad Tea Party meeting guests. Meet the Astounding Donaldo at Pete’s Silly Sideshow in Fantasyland. 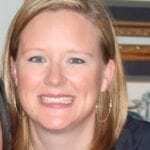 Photo Credit: Twins TravelingMom, Sarah Gilliland. Meet some of your favorite Disney characters under the Big Top at Pete’s Silly Sideshow. Here you can meet Donald Duck, Daisy Duck, Minnie Mouse and Goofy under their stage names of The Astounding Donaldo, Madame Daisy Fortuna, Minnie Magnifique, and The Great Goofini. 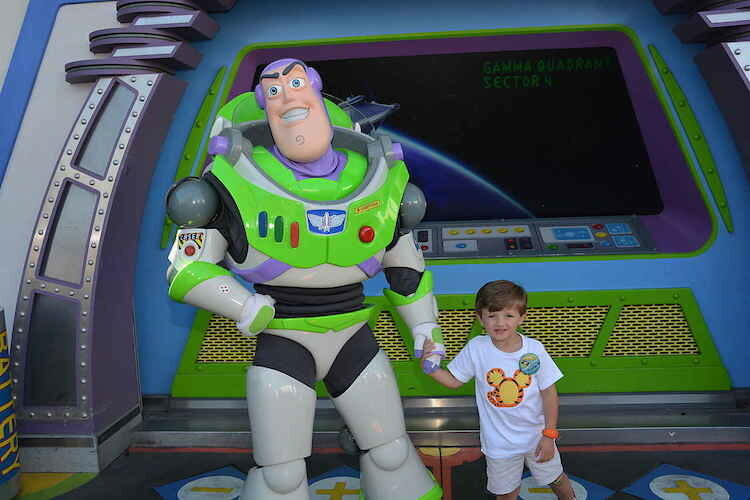 Everyone’s favorite Space Ranger, Buzz Lightyear, meets guests at the Buzz Lightyear Exit Courtyard adjacent to Walt Disney’s Carousel of Progress. Stay alert while walking through Tomorrowland as guests have reported coming into contact with Stitch near his attraction at the entrance to Tomorrowland. Planning to visit Disney’s Hollywood Studios? Use our Ultimate Guide to Finding Characters in Disney’s Hollywood Studios. Wondering where all the princesses are located in Epcot? Read our Ultimate Guide to Finding Disney Characters in Epcot. 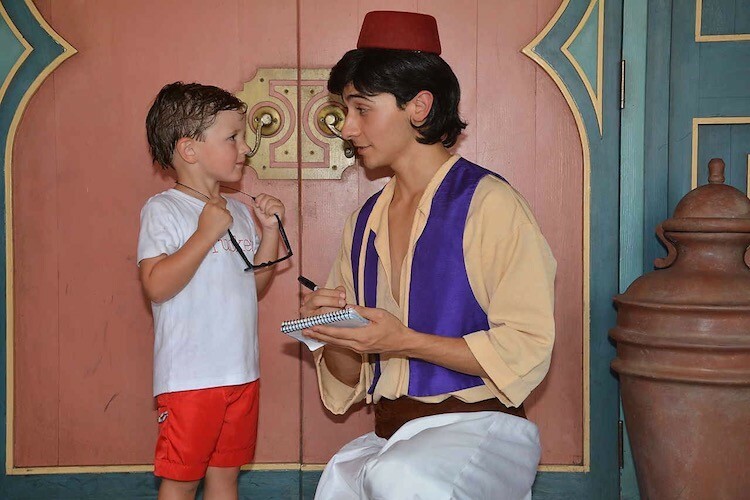 I am currently working on a post on where to find characters in Disney’s Animal Kingdom and will update this post as soon as it has published. 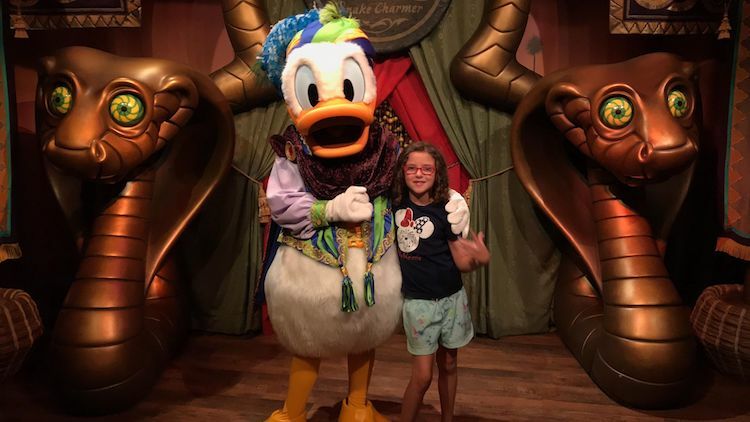 If you’re interested in additional information on character dining locations outside of the Magic Kingdom, please read The Complete Guide to Disney Character Dining.